a panoply of processes and qualities that could be deemed ‘positive’, from overarching constructs such as flourishing to more specific concepts like hope. Of course, none of this was radically new: many of these topics had been studied empirically for years by scholars in disparate fields, and indeed had been debated for centuries, millennia even. However, part of the appeal of the new field was that it created a conceptual space where these diverse topics – all of which shared the ‘family resemblance’ (à la Wittgenstein) of pertaining to wellbeing – could be brought together and considered collectively. Thus, as a novel branch of scholarship focused specifically and entirely on ‘the science and practice of improving wellbeing’ (Lomas et al., 2015, p.1347), it was a welcome new addition to the broader church of psychology. However, positive psychology was not without its critics. A prominent focus of concern was the very notion underpinning the entire field. Essentially, positive psychology appeared to be promulgating a rather polarising positive–negative dichotomy. Certain phenomena were labelled as positive, and thus presented as inherently desirable. The necessary corollary, of course, is that contrasting phenomena were implicitly conceptualised as negative, positioned as intrinsically undesirable. So, for example, optimism tended to be valorised as an unmitigated good, and pessimism as a categorical impediment to wellbeing. Some scholars did paint a more nuanced picture; for instance, Seligman (1990, p.292) cautioned that one must be ‘able to use pessimism’s keen sense of reality when we need it’. However, in terms of the broader discourse of the field, and its cultural impact, a less nuanced binary message held sway. While seemingly offering an upbeat message – linking positive emotions to beneficial outcomes, such as health (Fredrickson & Levenson, 1998) – this valorisation of positivity was problematic, for various reasons. Firstly, it often failed to sufficiently appreciate the contextual complexity of emotional outcomes. For instance, ‘excessive’ optimism can be harmful to wellbeing (e.g. contributing to underappreciation of risk), while pessimism may be beneficial, such as when it prompts proactive coping (Norem, 2001). Of even greater concern was Held’s (2002, p.965) suggestion that this emphasis on positivity contributed to a ‘tyranny of the positive,’ to the cultural expectation that one should be upbeat, with social censure for people who could not find the requisite positivity. Similarly, in the work arena, Ehrenreich (2009) accused organisations of compelling forced jollity as a way of hindering dissent and cajoling more out of workers. Perhaps most perniciously, this ‘tyranny’ fed into a pervasive cultural discourse in which negative emotional states are not simply seen as undesirable, but pathological. As Horwitz and Wakeﬁeld (2007) suggest in The Loss of Sadness, dysphoric emotions that were previously regarded as natural and inherent dimensions of the human condition have largely been re-framed as disorders, and certainly as problematic. Positive psychology arguably contributed, albeit unwittingly, to this process. The above critiques could be regarded as undermining positive psychology. However, my colleagues and I take a different view: stimulated by these concerns, we feel the field is responding receptively, evolving into what we describe as ‘second wave’ positive psychology (SWPP) (Ivtzan et al., 2015; Lomas & Ivtzan, 2015; Wong, 2011). If the ‘first wave’ is characterised by valorisation of the positive, SWPP recognises that wellbeing actually involves a subtle, dialectical interplay between positive and negative phenomena. This recognition challenges that idea that wellbeing is coterminous with constructs like ‘happiness’; rather, it becomes a more expansive term, one that includes negative emotions if these serve some broader sense of ‘being/doing well’. For instance, Pollard and Davidson (2001, p.10) define wellbeing as ‘a state of successful performance across the life course integrating physical, cognitive and social-emotional function’. One could see how ostensibly negative emotions, like prudent anxiety, could subserve this larger goal. More specifically, SWPP is underpinned by four dialectical principles: appraisal; co-valence; complementarity; and evolution. The principle of appraisal states that it can be hard to categorise phenomena as either positive or negative, since such appraisals are fundamentally contextually dependent. For instance, as noted above, ‘excessive’ optimism can lead to miscalculations of risk, whereas pessimism may promote prudence. Prosocial emotions like forgiveness can be harmful if it means one tolerates a situation that one might otherwise resist, such as an abusive relationship; conversely, ‘anti-social’ emotions like anger can impel one to resist iniquities, and drive progressive social change (McNulty & Fincham, 2011). Even happiness and sadness are not immune from such considerations. Superficial forms of happiness might forestall efforts to pursue deeper states of fulfilment, or tranquillise us into acquiescing to social contexts that ultimately undermine our wellbeing. Conversely, sadness may be thoroughly appropriate, such as in response to loss; it may even have real salutary value, a humane response to suffering perhaps, or a refined aesthetic response to transient beauty. 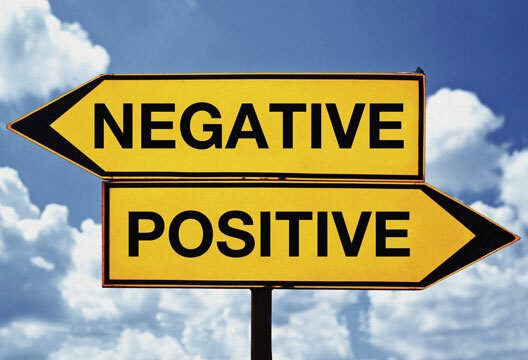 As we dwell on such considerations, clear-cut determinations of ‘positive’ and ‘negative’ become harder to make. It is not just that such appraisals are difficult; the second principle of co-valence reflects the idea that many phenomena comprise positive and negative elements (Lazarus, 2003). This is even so for arguably the most cherished of all human phenomena: love. While there are many forms of love – from the passion of eros to the selflessness of agape – all are a dialectical blend of light and dark. There are many ways of viewing this dialectic, but all are variations on the poignant lamentation of C.S. Lewis (1971): ‘To love at all is to be vulnerable. Love anything and your heart will be wrung and possibly broken.’ Thus, even while love contains pleasure, joy and bliss, it also harbours worry, anxiety, and fear. However, this recognition of co-valence leads us inexorably to the third principle: complementarity. The potential dysphoria inherent in love is not an aberration, but the very condition of it. The light and dark of love are inseparable, complementary and co-creating sides of the same coin. Consider that the stronger and more intense one’s love for another, the greater the risk of heartbreak. As Bauman (2013, p.6) eloquently puts it, ‘to love means opening up to that most sublime of all human conditions, one in which fear blends with joy into an alloy that no longer allows its ingredients to separate’. Finally, the principle of evolution contextualises the very idea of SWPP. Just as SWPP is defined by an appreciation of dialectics, it is itself an example of a dialectical process, in Hegel’s sense of thesis-antithesis-synthesis. One might view mainstream psychology, with its apparent concern with ‘negative’ aspects of human functioning, as the thesis. In critiquing this and embracing ostensibly positive phenomena, positive psychology presented itself as the antithesis. However, critics subsequently discerned flaws in this antithesis. Crucially though, this does not necessarily mean an abandonment of positive psychology, a reversion to the original thesis. Rather, the next stage is ideally synthesis, in which the truths of both thesis and antithesis are preserved, while their flaws are overcome. SWPP is just such a synthesis, moving away from a binary classification of phenomena – valorising positivity while condemning negativity – towards a more nuanced appreciation of the dialectical complexities of wellbeing (King, 2001). This exploration of the dialectical nuances of flourishing, the delicate interplay of light and dark, can take many forms. One addresses another prominent criticism of positive psychology: that its conceptualisations of wellbeing are rather culturally specific, reflecting the North American context in which the field emerged (Lomas, 2015). While concepts in positive psychology have largely been derived from research with ‘WEIRD’ participants – Western, Educated, Industrialised, Rich and Democratic (Henrich et al., 2010) – the field has often tended to presume that these findings can be generalised to other cultures. Mindful of these critiques, positive psychology is becoming increasingly appreciative of cultural differences in constructions and experiences of wellbeing. For my own part, this burgeoning cross-cultural sensitivity has focused on language. More specifically, I have begun to create a lexicography of so-called ‘untranslatable words’ relating to wellbeing, gathered from across the world’s cultures. The general premise of the lexicography is that a culture’s values and traditions are encoded in its language, which in turn shapes the experiences and understanding of that culture’s members, a perspective broadly referred to as the Sapir-Whorf hypothesis. The more specific premise of the lexicography is that untranslatable words – words for which English purportedly lacks an equivalent term – offer a unique window onto concepts that may be particular to a given culture (Wierzbicka, 1997). Moreover, I speculate that this lexicography might help people (from all cultures) to develop a richer interior world, and experience and express new dimensions of wellbeing. This claim will require a programme of empirical inquiry to substantiate it. In starting to build the lexicography, I undertook an analysis of 216 such words (Lomas, 2016). Moreover, through grounded theory analysis, I developed a conceptual ‘map’ of the terms, thereby expanding the nomological network of concepts within positive psychology. The words were organised into three overarching categories, each of which contained two main themes: feelings (comprising positive and complex feelings); relationships (comprising intimacy and prosociality); and character (comprising personal resources and spirituality). I shall finish here by elucidating this theme of complex feelings, as its words provide a beautiful illustration of the kind of ambivalent constructs that SWPP is concerned with. Before introducing this theme, there are two general caveats relating to this project. Firstly, it can be difficult to understand a word in isolation without knowing how it relates to other linguistic terms in a system (the great insight of structuralism), or how it is deployed in context. That said, this does not mean that learning foreign words is impossible or valueless if these conditions are not met. Take, for instance, a word like karma, which has been adopted into English to refer broadly to causality with respect to ethics. Most English speakers who use this word probably do not know how it relates to other Sanskrit terms, nor its wealth of meanings in the context of Hindu and Buddhist teachings. Nevertheless, such speakers evidently find the word useful, and arguably deploy it in ways that are not completely discordant with its original meanings. Secondly, the definitions in this lexicography are neither complete nor final and canonical. For a start, words are polysemous; as such, each of these words would ideally have its own entire article, delving into its multidimensional nuances. Moreover, while the explications here are based on definitions offered by dictionaries and scholars, my interpretations are inevitably subjective and partial (particularly since I’m from a WEIRD society myself!). However, I’m hoping that this lexicography will evolve with the help of scholars throughout the world, who may be able to add to and refine it in a spirit of collaboration. Indeed, a webpage has been set up for this purpose: www.drtimlomas.com/lexicography. With that in mind, we turn to the words themselves. The theme of complex feelings contains concepts and processes that are beautifully ambivalent and co-valenced, and are thus emblematic of SWPP, reflecting the dialectical nature of flourishing. These are not all words for feelings per se, but include terms that either: (a) relate in some way to complex feelings; or (b) embody a dialectical mode of appreciation. Regarding the latter, arguably the exemplary concept in this respect is the Chinese notion of yin-yang (陰陽), associated with Taoism. Separately, yin means cloudy/overcast, and yang ‘in the sun’ (shone upon). Together, they imply the two sides of a mountain (one sunlit, one in shadow), and thus articulate the idea of ‘holistic duality,’ i.e. that reality comprises co-dependent opposites. This notion is an overarching motif for this entire class of terms: in their various ways, the words here are a dialectical blend of positive and negative, light and dark, together creating a rich and complex sensibility. Within this overall theme are a number of subthemes. The first is an evocation of hope and anticipation. Words here are truly co-valenced, a tantalising blend of savouring the future, combined with fear that it will not come to pass. In Italian, magari – both an adverb and an interjection – roughly means ‘maybe,’ but also encompasses ‘in my dreams’ and ‘if only,’ encapsulating both a hopeful wish and wistful regret. Similarly, in Indonesian, the auxiliary verb belum means ‘not yet,’ but with an optimism that an event might yet happen. In German, Vorfreude is an intense, joyful anticipation derived from imagining future pleasures. Rather more melancholic is the Korean han (한), a culturally vital term expressing sorrow and regret, yet also embodying a quiet patience, hoping that whatever adversity is causing the sadness will eventually be righted. Related to han are words pertaining to longing and yearning that are at the heart of their respective cultures (Silva, 2012; Wierzbicka, 1997). In Portuguese, saudade is a melancholic longing or nostalgia for a person, place or thing that is far away, either spatially or in time; indeed, as Silva points out, it can reflect a vague wistfulness for phenomena that may not even exist, like a better future. Similarly, the German Sehnsucht translates as ‘life longings,’ and captures an ‘intense desire for alternative states and realizations of life,’ even (or especially) if these are unlikely to be attained (Scheibe et al., 2007, p.778). Toska in Russian and hiraeth in Welsh articulate a complex mix of nostalgia, wistfulness and longing for one’s homeland. Likewise, in Japanese, natsukashii (懐かしい) is a nostalgic longing for the past, featuring a delicate blend of happiness for fond memories, yet sadness that those times are no longer. Related to words articulating longing are terms expressing desire for freedom. In German, Fernweh is described by Gabriel (2004, p.155) as the ‘call of faraway places,’ or homesickness for a place one has never been to. Here too is the well-known Wanderlust, a wonderful example of a foreign term that has been adopted into English, arguably because it fulfilled some unmet need. Indeed, as De Boinod (2007, p.5) says ‘[t]he English language has a long-established and voracious tendency to naturalize the best foreign words.’ In Russian, prostor captures a desire for spaciousness, roaming free in limitless expanse, not only physically, but creatively and spiritually (Pesmen, 2000). Finally, the strange German term Waldeinsamkeit articulates the feeling of solitude when alone in the woods, a mysterious state described by (Schwartz, 2007, p.201) as the ‘pseudo-magical pull of the untamed wilderness; a place of living nightmares caught between the dreamscape and Fairyland’. Finally, there are words capturing complex aesthetic states, evoked through contemplation of the transient mysteries of life. Japanese is particularly rich in these terms, possibly because Japanese culture has traditionally been steeped in dialectical models of cognition and appreciation (Uchida & Ogihara, 2012). With these concepts, it feels like we are at the very heart of SWPP, so I shall end by dwelling on these in a little more depth. The first term of interest is aware (哀れ). This expresses the bittersweetness of a brief, fading moment of transcendent beauty, while the compound mono no aware (物の哀れ) articulates the pathos of understanding that the world and its beauty are transient in this way. As expressed by Yoshida Kenko⁻ (1283–1350), ‘If man were never to fade away like the dews of Adashino… how things would lose their power to move us! The most precious thing in life is its uncertainty’ (cited in Keene, 1967, p.7). In Zen – a Buddhist tradition nearly synonymous with Japanese culture – the pre-eminent symbol of mono no aware is the cherry blossom, whose fragile efflorescence captivates attention during the bloom of spring. Crucially, appreciation of its beauty is heightened by awareness of its transiency. Matsuo Basho (1644–1694), arguably the greatest master of the haiku, captured this sense with particular genius: ‘Summer grasses –; the only remains; of warriors’ dreams.’ Thus, as Prusinski (2013, p.23) says, ‘the beauty lies not in the object itself, but in the whole experience, transformation, and span of time in which the object is present and changing’. Finally, we have yugen (幽玄), described by Suzuki (1959/1973, pp.220–221) as evoking obscurity, mystery, unknowability, and yet not ‘utter darkness’. It reflects the notion that the elusive mysteries of existence may nevertheless be sensed in some inchoate, intuitive way. Moreover, yugen does not simply depict awareness of these strange depths, but the sense that one is moved to one’s core by these mysteries, without quite knowing why. The 13th-century Japanese poet Kamo no Chōmei characterises yugen thus: ‘It is like an autumn evening under a colorless expanse of silent sky. Somehow, as if for some reason that we should be able to recall, tears well uncontrollably’ (cited in Dyrness and Kärkkäinen, 2008, p.65). Western psychology arguably has constructs that are similar to yugen, like the profound state of elevation Maslow (1972) labelled ‘peak experiences’. These go far beyond mere hedonic pleasure or even fulfilment, involving qualities like awe and self-transcendence. However, what is especially unusual and potent about yugen is the apparently ‘ordinary’ nature of the phenomena that can evoke it. This is reflected in this haiku by Basho, often regarded as the ultimate expression of yugen (Watts, 1957): ‘On a withered branch; A crow is perched; In the autumn evening.’ Conceptualisations of peak experiences tend to imply that these can only be experienced on some literal or metaphorical (e.g. developmental) summit. With yugen though, there is the profound experience of the ordinary – which is within everyone’s reach – being revealed as extraordinary, as if lifting a veil on the sacred. Yugen is thus an apposite place to finish here, a perfect example of how untranslatable words can usher us into new dialectical modes of appreciation, and reveal hitherto hidden dimensions of flourishing. ‘When I was offered a lectureship in positive psychology in 2013, it was wonderful to become immersed in this exciting area. But part of me found the field somewhat daunting. It often gave the impression of being so relentlessly upbeat that, if you weren’t swept up by this spirit of positivity, you could feel like an outsider. It soon transpired that some other colleagues and students felt something similar. Bauman, Z. (2013). Liquid love: On the frailty of human bonds. New York: John Wiley & Sons. De Boinod, A.J. (2007). The meaning of tingo: And other extraordinary words from around the world. London: Penguin. Dyrness, W.A. & Kärkkäinen, V-M. (2008). Global dictionary of theology. Nottingham: IVP Academic. Ehrenreich, B. (2009). Smile or die: How positive thinking fooled America and the world. London: Granta. Fredrickson, B. & Levenson, R.W. (1998). Positive emotions speed recovery from the cardiovascular sequelae of negative emotions. Cognition and Emotion, 12(2), 191–220. Gabriel, B. (2004). The unbearable strangeness of being. In B. Gabriel & S. Ilcan (Eds.) Postmodernism and the ethical subject. New York: McGill-Queen's University Press. Henrich, J., Heine, S.J. & Norenzayan, A. (2010). Most people are not WEIRD. Nature, 466(7302), 29–29. Held, B.S. (2002). The tyranny of the positive attitude in America. Journal of Clinical Psychology, 58(9), 965–991. Horwitz, A.V. & Wakeﬁeld, J.C. (2007). The loss of sadness. Oxford: Oxford University Press. Keene, D. (1967). Essays in idleness: The Tsurezuregusa of Kenkō. New York: Columbia University Press. King, L.A. (2001). The hard road to the good life. Journal of Humanistic Psychology, 41(1), 51–72. Lazarus, R.S. (2003). The Lazarus manifesto for positive psychology and psychology in general. Psychological Inquiry, 14(2), 173–189. Lewis, C.S. (1971). The four loves. New York: Houghton Mifflin Harcourt. Lomas, T. (2015). Positive cross-cultural psychology. International Journal of Wellbeing, 5(4), 60–77. Lomas, T. (2016). Towards a positive cross-cultural lexicography. Journal of Positive Psychology [Advance online publication]. Lomas, T., Hefferon, K. & Ivtzan, I. (2015). The LIFE model: A meta-theoretical conceptual map for applied positive psychology. Journal of Happiness Studies, 16(5), 1347–1364. Lomas, T. & Ivtzan, I. (2015). Second wave positive psychology. Journal of Happiness Studies [Advance online publication]. Maslow, A.H. (1972). The farther reaches of human nature. London: Maurice Bassett. McNulty, J.K. & Fincham, F.D. (2011). Beyond positive psychology? American Psychologist, 67(2), 101–110. Norem, J.K. (2001). The positive power of negative thinking. New York: Basic Books. Pesmen, D. (2000). Russia and soul. New York: Cornell University Press. Pollard, E.L. & Davidson, L. (2001). Foundations of child wellbeing action research in family and early childhood. Paris: UNESCO. Prusinski, L. (2013). Wabi-sabi, mono no aware, and ma: Tracing traditional Japanese aesthetics through Japanese history. Studies on Asia, 2(1), 21–45. Scheibe, S., Freund, A.M. & Baltes, P..B. (2007). Toward a developmental psychology of Sehnsucht (life longings). Developmental Psychology, 43(3), 778–795. Schwartz, E. (2007). Waldeinsamkeit: Subjective ambivalence in German romanticism. International Journal of the Humanities, 5(4), 201–210. Seligman, M.E.P. (1990). Learned optimism. New York: Pocket Books. Silva, Z.B. (2012). Saudade – a key Portuguese emotion. Emotion Review, 4(2), 203–211. Uchida, Y. & Ogihara, Y. (2012). Personal or interpersonal construal of happiness: A cultural psychological perspective. International Journal of Wellbeing, 2(4), 354–369. Watts, A.W. (1957). The way of Zen. London: Penguin Books. Wierzbicka, A. (1997). Understanding cultures through their key words: English, Russian, Polish, German, and Japanese. New York: Oxford University Press,. Wong, P.T.P. (2011). Positive psychology 2.0: Towards a balanced interactive model of the good life. Canadian Psychology/Psychologie canadienne, 52(2), 69–81.